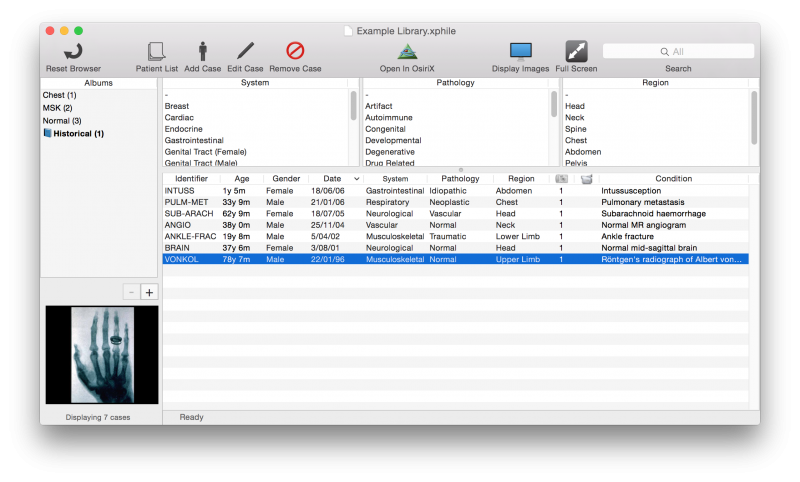 Xphile is a free, open source radiology teaching library system for macOS. The project is an effort to create an easily accessed local solution for storing and categorising radiology images and descriptions. Xphile requires a minimum of macOS 10.7 (Lion) and is compatible with macOS 10.12 (Sierra).